It's almost 1AM as I put this proverbial pen to paper and I tell ya, it's much easier to do after a win. We've been fortunate in that this season. Last night, against the Edmonton Oilers, it was a tale of two games. The first half of the game (mostly the 2nd period) was a clinic by the Penguins, teaching Edmonton's seemingly one million 1st overall draft picks how to play the game. At times, Edmonton players seemed to just be standing around and watching the action go by. The Pens look like they are playing 16 yr old guys right now. Things were going the Pens way. Crosby scored a goal for the first time again the Oilers, one of 4 teams left against which he had yet to light the lamp. Malkin and Neal were basically unstoppable. One of these teams looks like a professional hockey team. I'll let you decide which one. How did the game get away against a team that far beneath them? 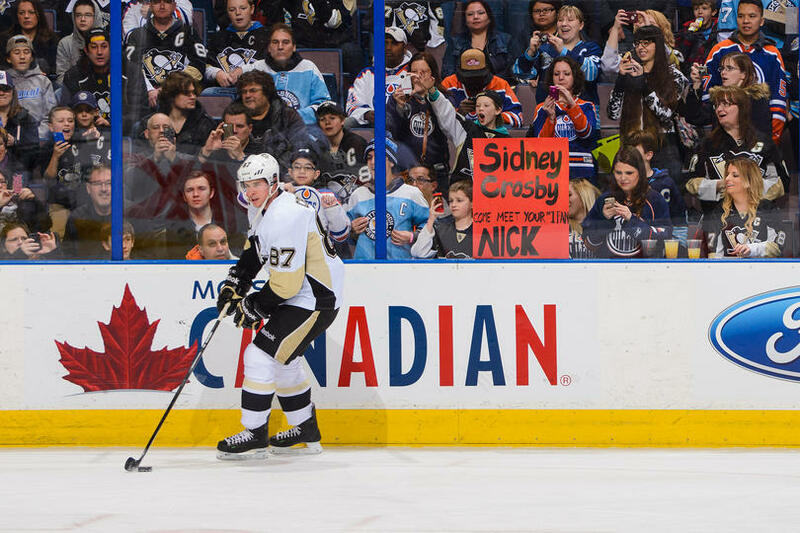 After all, the Oilers' 35 points are not even halfway to the Pens' 66 points. Well, the easiest thing to say is that the Pens were due for a let down and Edmonton had everything to play for. Perhaps overconfident, the Pens took their foot off the gas and Edmonton, seemingly down and out, took advantage of that. When a team takes their foot off the gas, errors follow. Edmonton's 2nd goal, the one which tied the game for the first time, came off a turnover by Engelland, who looked every bit a defensemen playing forward on the play. It's not like that was the low point either, as Letang retook the lead for the Pens not long after. No, the low point came at 18:01 of the 3rd when Belov tied the game with his 1st NHL goal. After that, momentum was working against the Pens. Brandon Sutter taking a slashing/hooking/tripping penalty (he pretty much did all three) with 24 seconds left meant a 4-3 PK in overtime and a Pens team with nothing left in the tank. In the end, the Pens still earned a point against a Western team, even if it was the dregs of that conference. With a commanding lead in the Metro division, a loss here isn't much of a worry. Let's just hope it's not the start of a trend.